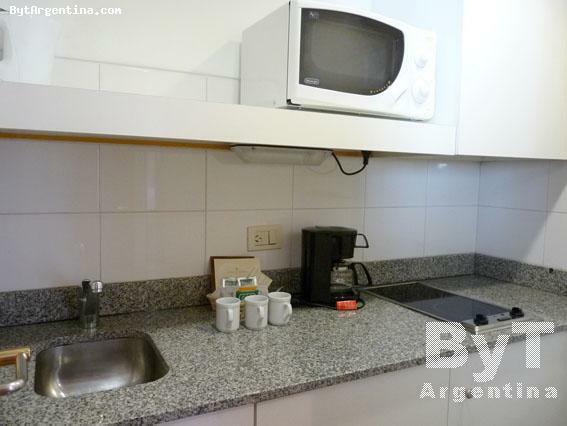 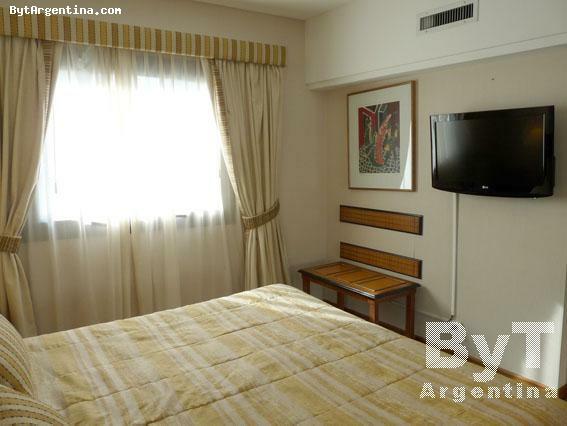 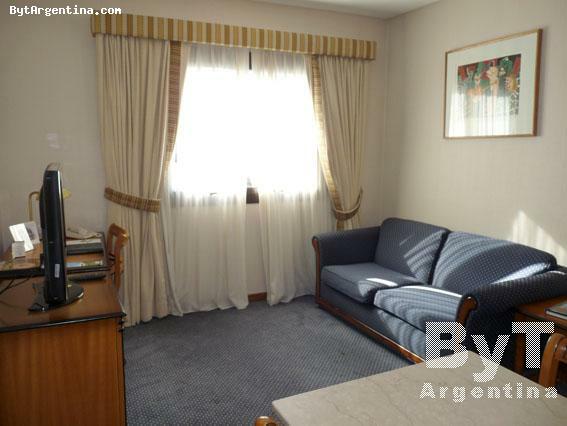 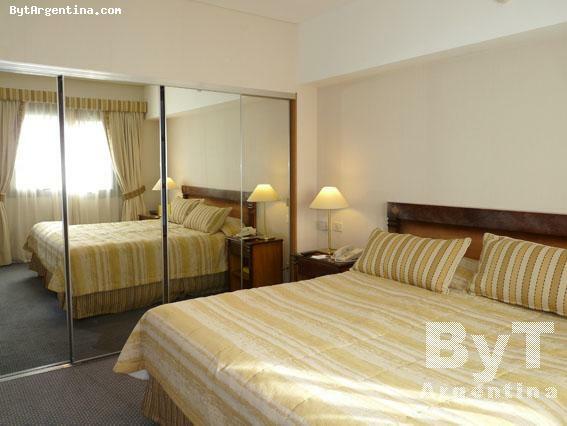 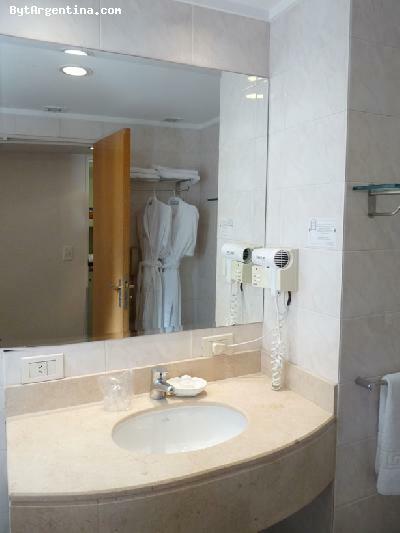 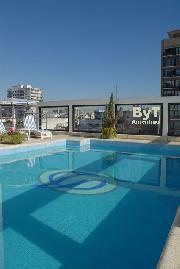 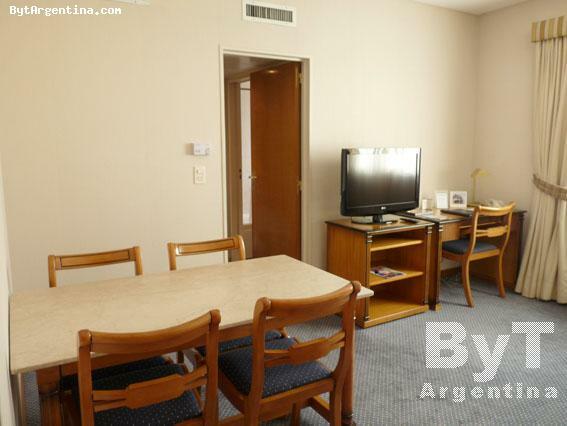 Apart Hotel centrally located in one of the most elegant areas of Buenos Aires, just two blocks from the plaza San Martin Square, the famous Florida street, and the 9 de Julio Avenue. 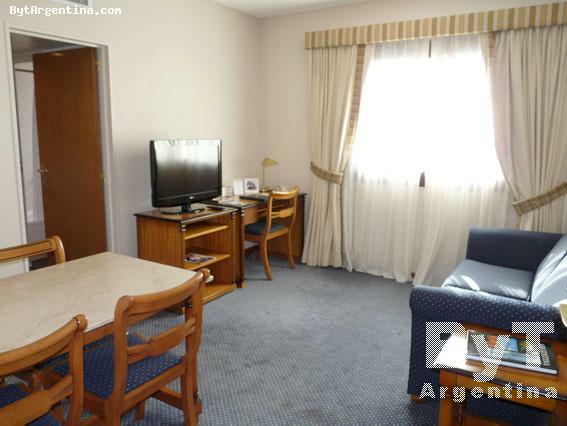 The flat offers a living-dining room with a sofa-bed and a dining table for four people, one bedroom with a King size bed, one full bathroom with jacuzzi-tub and an equipped kitchen. 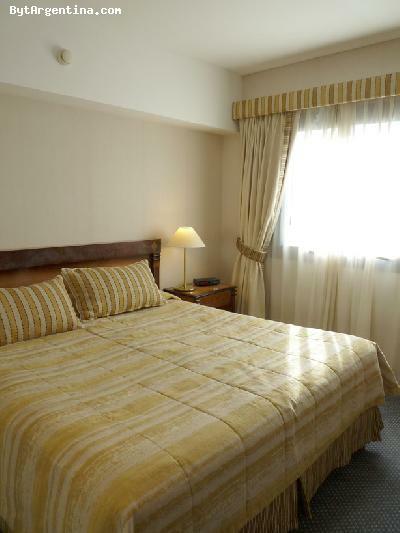 The apartment is equipped with Internet (Wi-Fi), cable TV (2 sets), central air conditioning, fridge, microwave, dishes, kitchenware, linens and towels. 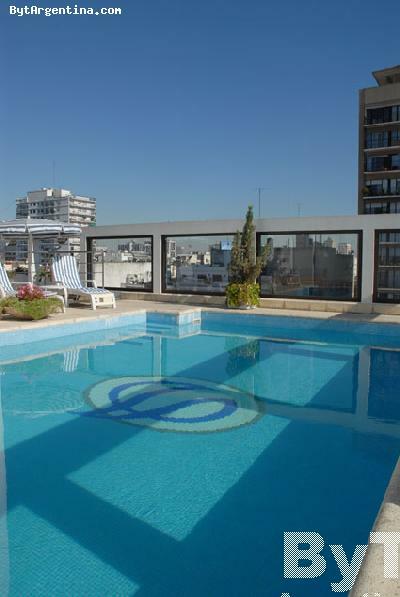 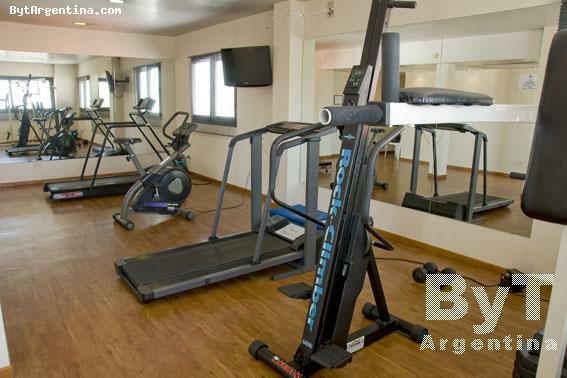 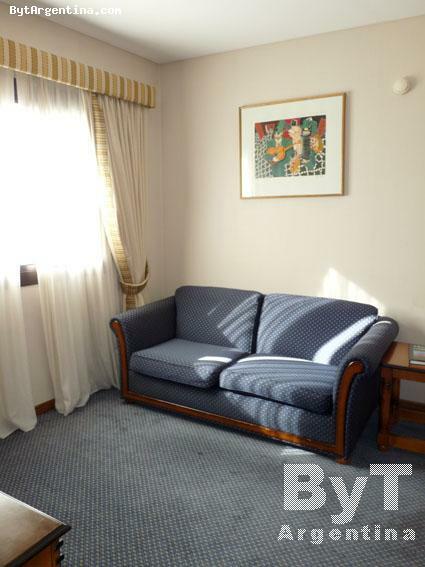 The flat is located in an apart hotel with all the amenities, such as: swimming pool (available only in summer season), gym, sauna, bar-restaurant, daily maid service and 24 hours doorman. A great option, very comfortable with a superb location.